NEWS – How would you like to take a 240-inch big screen TV with you where ever you go? You can with the pocket-friendly PIQO projector. The PIQO is an Indiegogo campaign that will be ending later this month and has already earned over one million dollars. 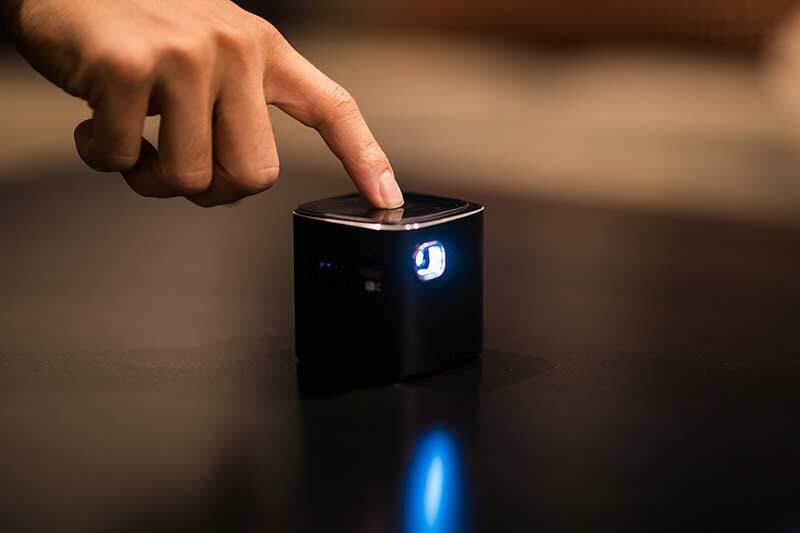 This pint-sized entertainment gadget connects wirelessly to your devices using AirPlay, Bluetooth, WiFi, screen mirroring, or directly via HDMI or USB and features a 200-lumen lamp and a battery that will let you enjoy your favorite video content for up to 5 hours or listen to music for up to 50 hours on a charge. The PIQO projector is powered by Android and the cool thing is that you can install apps on the projector and show them on the projected display. Check out the video below to see what it can do. The PIQO campaign ends on 1/26/19 and they have already blown past their funding goal of $10,000 by more than a million dollars. You can pre-order a PIQO projector starting at $349. After the PIQO campaign ends, rewards are estimated to start shipping in April 2019. Visit www.piqoprojector.com for all the details. 200 lumens is a joke. I own a couple projectors and 3000 is the minimum I’ll consider when buying my third. Imagine your cell phone screen set to minimum brightness permanently, would you enjoy it? Depends … I have a LG PG60G with 500lm and it performs OK, though not in bright daylight (which projector does?). And I own a Celluon PicoBit rated at “only” 63lm but that one is a laser projector and, contrary to its meager book value, delivers a truly bright and crisp image. Discussing lumens reminds me of discussing MP in cameras – the face value is one thing, the technology behind it is another. My criticism is that nowhere on their website you find true tech specs allowing a comparison. Well, 3000 lumens projectors do. I agree with Art: 200 lumens is really terrible. This “gadget” is not to be taken seriously. Of course, it all depends on what you want to use it for. If you want to use it for a dim, low-contrast picture, then it’s prefect!